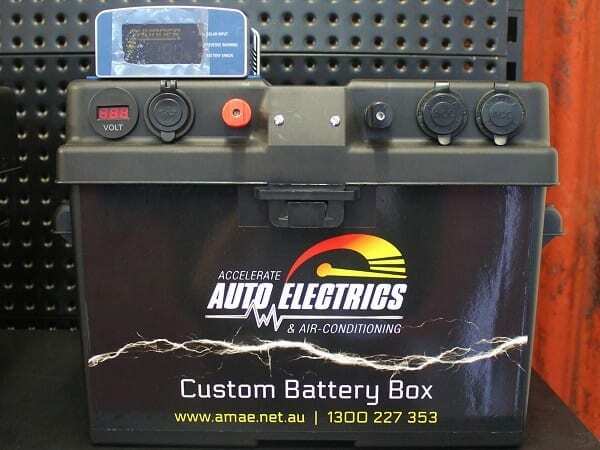 Accelerate Auto Electrics can supply and fit a wide variety of Custom Portable Battery Box options to suit all types of applications and vehicles. 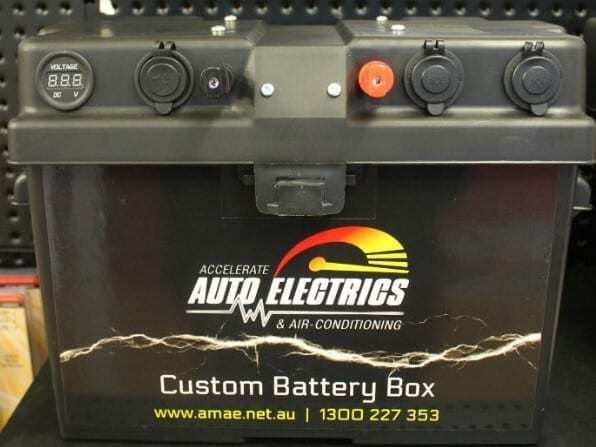 We can provide custom and pre-built portable battery solutions for 4WDs, caravans, camper trailers and regular cars. Want to power a portable fridge or freezer? Heading somewhere remote and need a backup battery? Need to charge your accessories when you’re off the beaten track? Want to embrace ‘Free Camping’ and camping Off-The-Grid? Why get a Custom Portable Battery Box? The benefit of a custom portable battery box is that you can put as little or as much as you like in them. 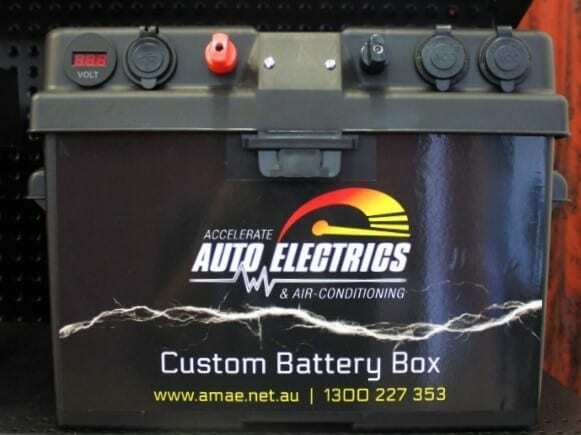 If you are after just the basics to get you through the weekend or a set-up with all the bells and whistles, we can create a portable battery box that is customized to your exact needs. We have created 4 pre-built battery boxes based on our most popular custom options. Each box comes wired up, ready for you to use. We use high-quality heavy grade 8 B&S cable in all of our battery boxes. Perfect for the occasional weekender. This battery box has all the basics you need to power up your next weekend away. The next step up from our basic model. Best suited to those who like to get away most weekends. This is our first option with a DCDC charger. The Thunder 20amp DCDC Charger allows you to charge the battery via your vehicles starting battery or solar. 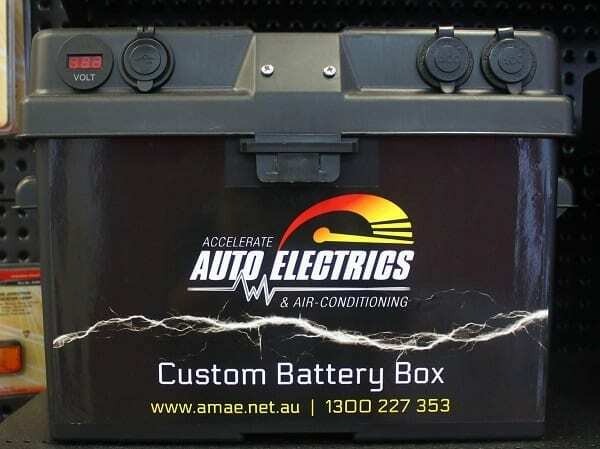 Our top of the range custom battery box with all the bells and whistles. A built-in Redarc BCDC makes for easy charging from your vehicle’s starting battery or via solar input. Not sure which type of Portable Battery Box you need?